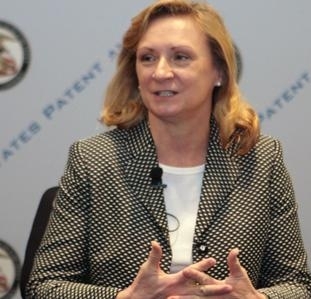 Guest blog post by Teresa Stanek Rea who is Deputy Under Secretary of Commerce for Intellectual Property and Deputy Director of the United States Patent and Trademark Office. The economic security and vitality of the United States has always been deeply rooted in American innovation. Time and time again, the story of our growth has been written by the daring drive of entrepreneurs, willing to roll the dice on a great idea. Today, I had the privilege to hear from a group of such bold thinkers in Minneapolis, Minn., and I learned that instrumental to 21st century growth is a 21st century infrastructure that readily allows small businesses to protect their ideas and move them to the marketplace swiftly and cost-effectively. That’s why the United States Patent and Trademark Office (USPTO) has been working diligently with the White House to build a stronger, more efficient patent system. As President Obama outlined in his State of the Union address, in an increasingly globalized world, innovation has become the premiere, sustainable source of competitive advantage for businesses to flourish. Patents, therefore, are the global currency that adds value to those inventions and moves them across borders and markets. Just take a look around you. The wiring in your headphones, the filter on your faucet, even the thumb tack in your wall—all of them have made our lives a little easier because of the power of the patent. Strong intellectual property rights empower everyone – from small inventors in their garage to large corporate enterprises – to raise capital, spur research and development, and transfer their ideas from a cocktail napkin to your iPhone. That’s why we are currently working with Congress to pass the America Invents Act. It will simplify the process of securing patent rights and empower small and independent inventors to move their ideas to the marketplace faster. It will also provide greater intellectual property certainties, reducing the need for cost-prohibitive litigation, which all too often ties up ideas in the courts, stifling innovation and jobs. As our country seeks to regain the jobs lost during the recent recession, the USPTO has made it a priority to aggressively tackle the backlog of unexamined patent applications, each of which represents an untold number of jobs and businesses, lying in wait on the sidelines. That’s why we are launching a new Three Track program that allows applicants to determine the pace at which their patent applications are reviewed. If an enterprise is in urgent need of intellectual property protection, they can expedite the speed of review with a fee, and if ideas require a bit more incubation time, they can opt for a delayed review track. This program puts tools in the hands of inventors so they can better manager their priorities while helping us to better manage the patent backlog. We’re also proud to play a role in accelerating socially conscious technologies. Under our Green Technology Pilot Program, the review of patent applications involving technology that reduces greenhouse gas emissions and promotes energy conservation and environmental quality is accelerated —and at no cost to the inventor. With these initiatives, the USPTO is leading the charge in demonstrating that the United States is the world’s chief global competitor. We can work together to establish an environment ripe for small businesses to flourish, create jobs and win America’s future by investing in the building blocks of innovation through new infrastructure and research. But let’s not let the conversation end here. My dialogue with innovators in Minneapolis today added perspective from Main Street to the approach the Obama Administration and the USPTO are taking to lead the way in creating 21st century business opportunities for our country. I look forward to continuing that conversation as we build a better patent infrastructure that is fairer, more balanced and more attuned to the needs of the American people.